Starting a new job? Looking for a change of scenery? No matter what influenced your decision to relocate, choosing the right professional movers is the key to a simple and stress-free experience. Since 1977, Simonik Moving & Storage has been providing customer-focused moving services and our unparalleled customer service and support has resulted in BBB accreditation. 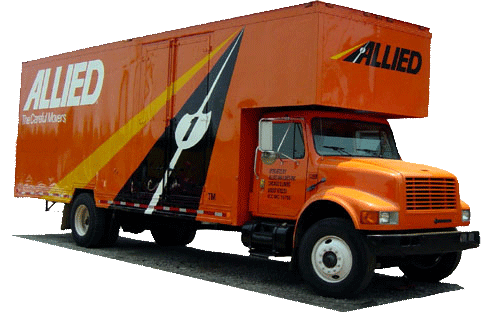 We’re also an award-winning agent of Allied Van Lines, meaning we’re connected to a nationwide network of moving and storage professionals that can handle household relocations anywhere in the country. Our expertise and access to resources ensure that when you choose us, moving from NJ to West Virginia will be hassle-free. If at any point during your move from New Jersey to West Virginia you find yourself in need of storage, we’ve got you covered. Our experts will pack your belongings into containers designed for long distance relocations and then store these containers in our alarm-protected warehouse facility for as little or as much time as you need us to. When it comes to finding reliable and reputable service for your move from NJ to West Virginia move, nobody does it quite like the experts at Simonik. We’ve been awarded “Mover of the Year” from the New Jersey Warehousemen & Movers Association, and we’re proud to have ProMover status with the American Moving & Storage Association. Our professional affiliations allow us to stay current on industry best practices, techniques, and requirements for long distance moving so we offer our customers nothing less than the best. We proudly service households throughout North and Central Jersey, including Hunterdon, Mercer, Middlesex, Monmouth, Morris, and Somerset counties. If you’re looking for experts in NJ to West Virginia moving, look no further than the professionals at Simonik Moving & Storage. Give us a call today and speak with a representative to learn more about our moving and storage solutions or take a moment to complete our online form to request your free, no-obligation moving estimate.